Oh it feels like Monday!! We just had a nice long 3 day weekend so my schedule feels out of whack. has a great card to kick off our week. 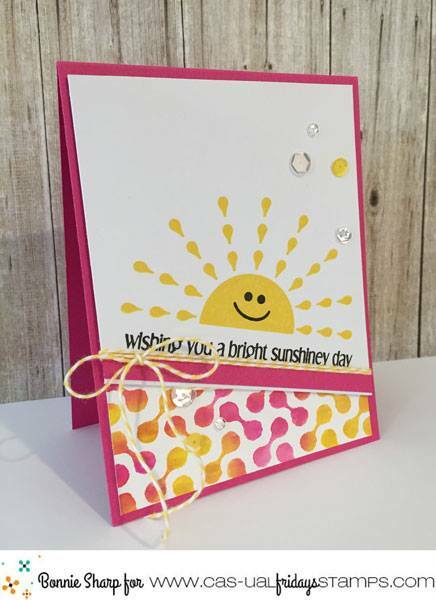 Love the little sunshine stamped on at a slight slant. I also really like how she used inks on the background border that match the other colors in the card. Sunshine is welcome any day of the week. Especially with such lovely card. Cheers!